Consider your own email inbox. Does a pleasing visual and overexcited copy convince you to hit a “Buy Now” button? What kind of email solicitation might actually get you yourself to respond? The control: Was promotional looking, with a photo illustrating the product benefit. The test: Was official looking, with a box highlighting the offer and prospect’s name. The control: Was colorful, with a surrounding graphic box and background pattern. The test: Had minimal color and was on a simple white background. The test: Had a headline saying: “Account status: Upgrade discount approved. The control: Had big colorful horizontal bars designed to attract the prospect’s eye. Official-looking creative works because it does an end run around the consumer’s defensive line, which is always on guard against salesmanship. It’s not the only tactic in the playbook, of course, but it can prove to be a very effective maneuver. 1. Don’t underestimate the importance of your order page. Whether or not you use an interim landing page, the moment of truth arrives when potential customers clickthrough to your order page. Like in direct mail—email’s offline older brother—the ordering device plays a critical role in the sale, yet we often see order pages that look like they were carelessly created by the back-end fulfillment programmer. Yikes! This is precisely where you need to totally engage your most potent and strategic writer and designer. 2. Keep perspective on email as a serious advertising channel. But advertising is advertising no matter what the medium. Artful persuasion is subtle business. And since email communication plays such a significant role in today’s marketing mix, it’s important to use the best professional creative team your budget can afford. 3. Respect the fact that email is a tricky production challenge. Unlike web pages, email readers do not all support modern HTML, so code must be knowledgably tweaked and tested until things look good on all the different relevant platforms. Moreover, emails should be device-responsive because so many people now use mobile phones and tablets. 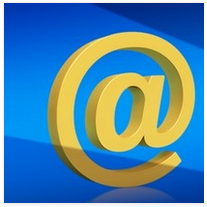 Yes, many designers will be happy to hack out an email for you which you can then send to your blasting service. But have you any idea what your customers actually experience when viewing them on real-world devices? We recommend finding a dedicated email coding geek to work alongside your creative team.